What is something worth if it’s not being used for, or serving its, purpose? It is useless and worthless as it takes up space in your life. When your life is full of useless things, you have little room to bring in something new and useful. But you must think of how much you’re willing to give up for that thing you want. How important is the new thing versus the importance of the unused thing? 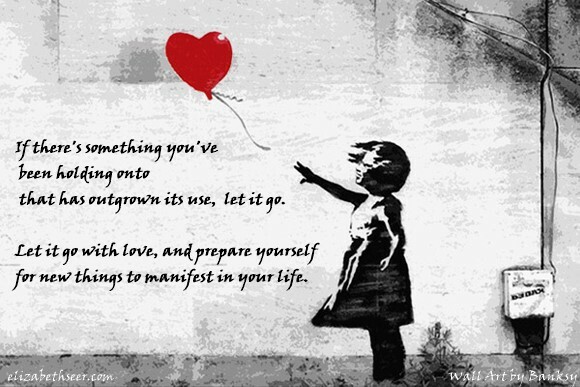 Let go of that which no longer serves its purpose in your life, and trust that you will be rewarded with richness. I write on this subject quite a bit; clear out the old to make way for the new. You can only hold on to so much for so long (this includes both emotional and physical things). clear space, clearing clutter, clearing out the old to make way for the new, let go, letting go with love, manifest desires, manifest through giving, manifestation. Bookmark.